“My policy on cake”, said Boris Johnson, “is pro having it and pro eating it.” So much for the common view that you can’t have your cake and eat it too; in particular, with Brexit, the foreign secretary proclaims his views on the grandiose future that awaits Britain after leaving the EU that perhaps event the most ardent Remainer almost has to be swayed. Brexit, Johnson declared, was the ‘great liberal project of the age’, one that would unleash the ingenuity and creative energy of Britain, unshackle her from the suffocating strap of European red tape, and fulfil the vision of the democratic polity that Britain deserves to be. Dismissed were the economic fears. It was a true representation of his cake policy. Unfortunately for the foreign secretary, as good as his cake policy might sound, it is also widely known to be unrealistic. Membership of the European Union was advantageous to the UK in several ways, and EU figures have long made it clear that the UK cannot ‘cherry-pick’ aspects of the membership that it wants and discard aspects that it dislikes. For a long time the Conservative government was not willing to confront the reality that there was no way it could secure as good a deal outside the EU as in. 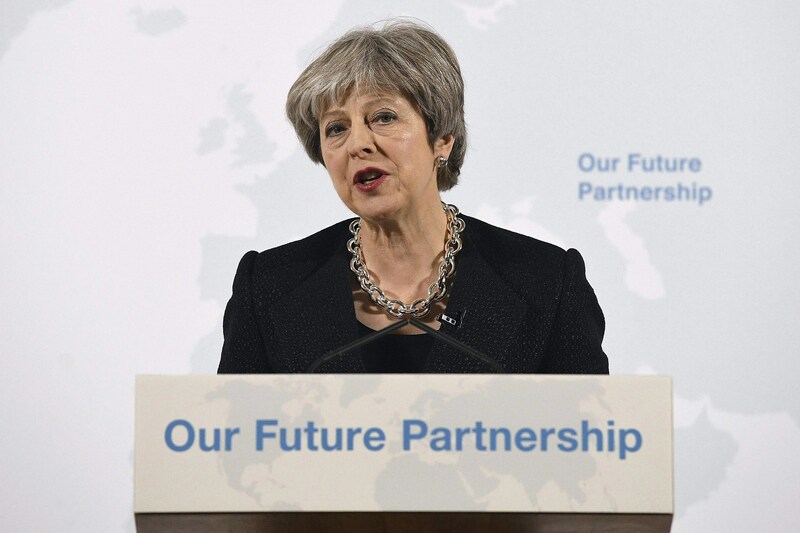 May then proceeded to spell out a clearer image of what Brexit will look like (a welcome change from ‘Brexit means Brexit’). She will opt for a hard Brexit, where the UK will leave the European single market and customs union. What the UK will need to do is secure a free trade agreement with the EU. Britain will contribute financially to the EU, and EU laws will still continue to affect it. London’s financial firms will lose their passporting rights. She also committed herself to ensuring that a soft border remained in place between Northern Ireland and Ireland. The prime minister still failed to offer specifics on what exactly her government is looking for, but her speech did give us the most concrete view yet of what Brexit is. The issue, however, is that Brexit as painted by the prime minister is rather different from the Brexit on the grandiose canvas that Boris Johnson set out when he campaigned for Vote Leave, and still continues to paint as foreign secretary. The Brexit that Johnson campaigned for called for was unashamedly cakeist: an end to contributions to the EU, an end to the supremacy of EU law, the same excellent trading relations, and an empowered Britain proudly regaining its proper status on the world stage as a sovereign country. The Brexit that May wants to take the UK towards, on the other hand, is a shrunken Britain that will have to continue paying the EU for less market access and without winning back much of the much-vented sovereignty that leavers desperately called for. In short, May wants the softest of hard Brexits- something that is unlikely to satisfy many at all. Brexit was an issue far too complicated to have been put to a referendum in the first place; this will forever be David Cameron’s biggest mistake. But since the electorate has spoken, so it has become the prime minister’s view that their iron will must be carried out. The final product that May is delivering, however, is shaping up to be much different from what the voters bought in the first place. Therefore, voters should be allowed a second referendum on Brexit. Many original Leavers thought that they were voting for a soft Brexit; others believed they were opting for the hardest of hard Brexits. What their opinion will be on this strangely soft but yet hard Brexit is definitely in question. It is easy to say that a second referendum that results in a Remain victory would be an overriding of the democratic mandate the electorate had already given in 2016. Democracy, however, is more than just listening to the majority while ignoring the minority; that would be pure majoritarianism. Coupled with the flawed vision of Brexit that Vote Leave and UKIP campaigned on, it would hardly be undemocratic to ask voters for a second opinion. The populace needs to be sold on May’s final deal, and if it is a rude awakening for them, then so be it: they can vote to remain. If, on the other hand, their grievances remain and they still believe there is no alternative to leaving the European Union, a victory in a second referendum would settle the issue of Brexit for an entire generation. What is most important is for the electorate to have a say on a realist, not cakeist, Brexit deal. No more grand speeches from Boris Johnson; instead, the sombre vision set out by Theresa May will be what the UK must decide on.